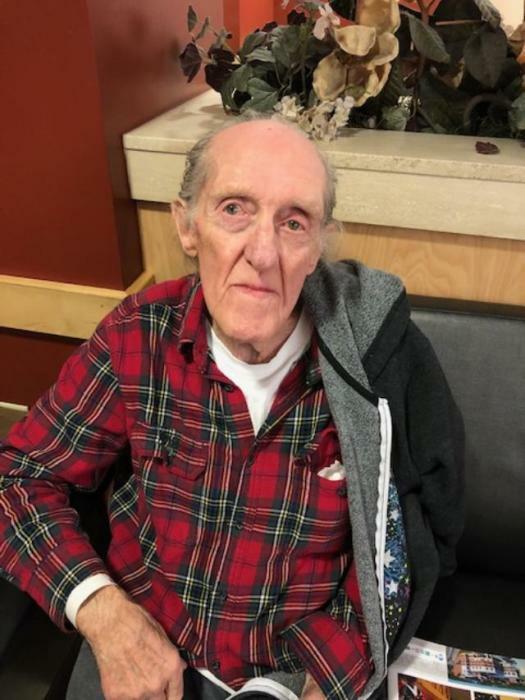 Bill Hicks, 84 of Marysville, IN passed away on Tuesday April 2, 2019 at Clark Memorial Hospital in Jeffersonville, IN. Bill was born on January 12, 1935 in Clark County, IN to Ernest E. and Cecil Kent Hicks, Sr. He was a Navy veteran of the Korean War, a retired Millwright for American Standard and a member of the North Charlestown Church of God and a member of the American Legion. He was preceded in death by his parents, brother, Ernest Hicks, Jr., sisters, Mary Cartright, Isabelle Bower, Opal Shephard. He is survived by his wife of 33 years, Evelyn Doss Hicks; sons, Allen Hicks of Jeffersonville and Larry Hicks of Henryville, IN; daughter, Linda Clark (Tony) of Kentucky; grandchildren, Allura Hicks, Justine Hicks and Sarah Hicks and Tabitha Clark. Funeral services will be held at 1 pm on Saturday April 6, 2018 at Grayson Funeral Home in Charlestown with burial in Charlestown Cemetery. Visitation will begin after 10 am on Saturday.